We started off with the Hotate Yaki, seared scallops, and were immediately impressed. 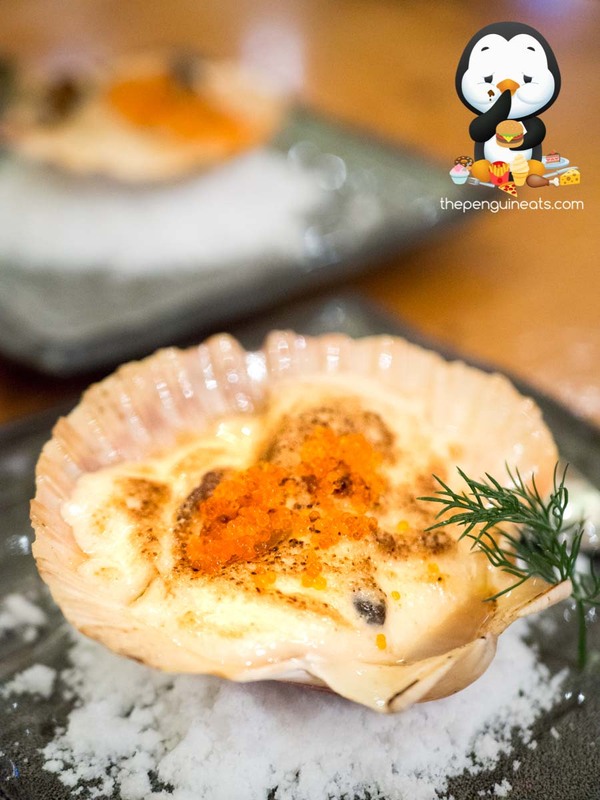 Served in a scallop shell, the Hokkaido scallop was pan seared in Japanese sake to an exceptional tenderness, which was smothered in a creamy, cheesy mayo and topped with delicate fish roe that offered bursts of juiciness. The Soy Duck Breast was also simply delightful. 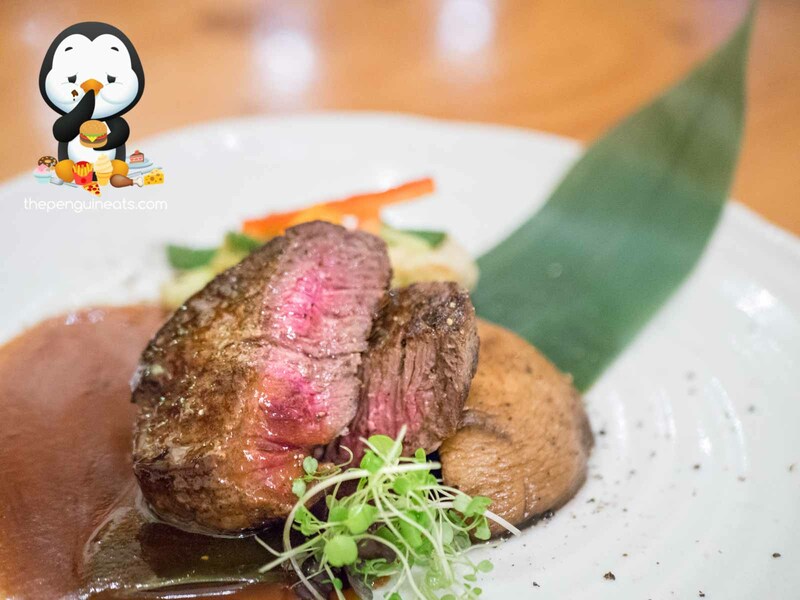 Served with a light ponzu sauce, the slight savoury sensation was well accompanied by tender and thin slices of fragrant duck meat. 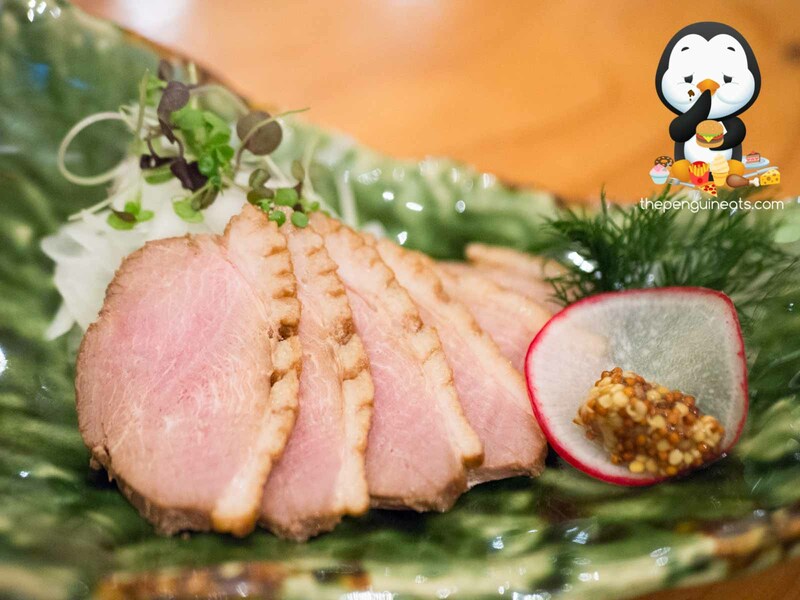 With a seeded mustard providing a slight though very interesting tang, this was definitely one of the best representation of duck we’ve come across in any cuisine. Our Sushi and Sashimi Signature Combination was an absolute sight to behold. 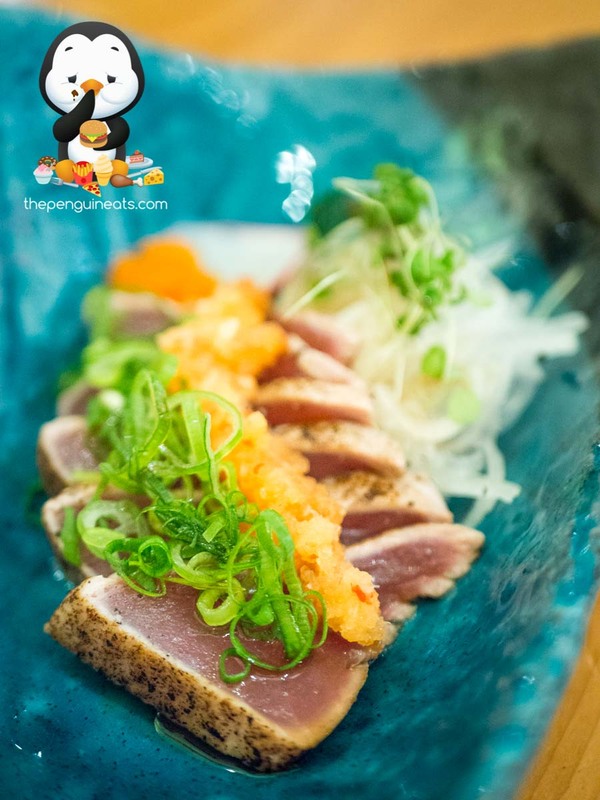 The exceptional freshness of the sashimi was undeniable and quite literally unparalleled outside of Japan. 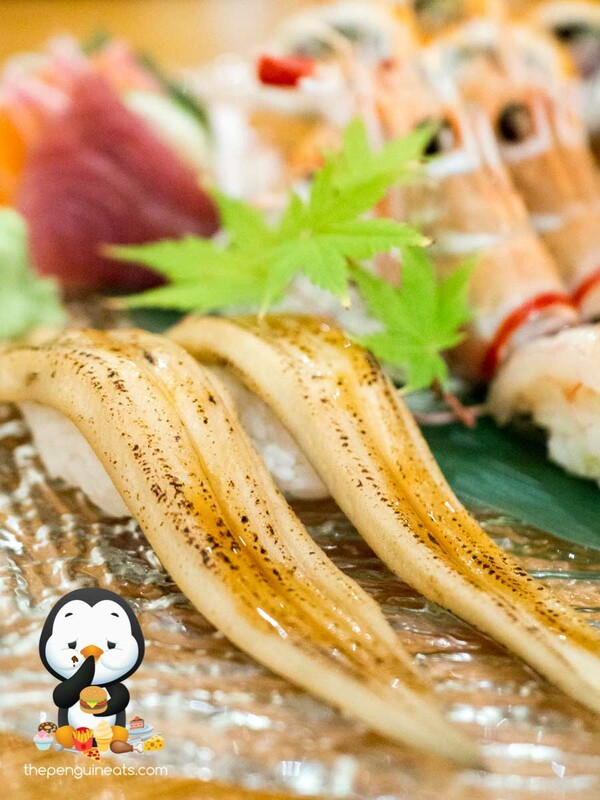 The highlights of the platter included the Seawater Eel, which was lightly seared to perfection and lightly glazed, making for the most delicately tender eel we’ve ever had. 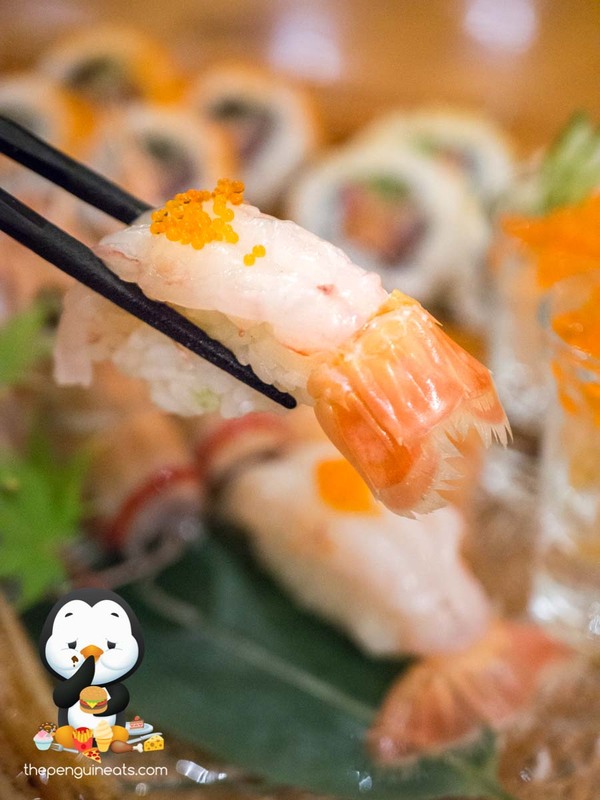 The Scampi was also another standout, which was just so soft and juicy, with a hint of sweetness throughout and well-matched with a tad of wasabi. We found the cuts of salmon and tuna equally fresh and tasty, just so soft and delicate without so much of a hint of fishiness. The Salmon Maki were also something quite special. The once again fresh and tender fish was wrapped with fragrant and plump jasmine rice. 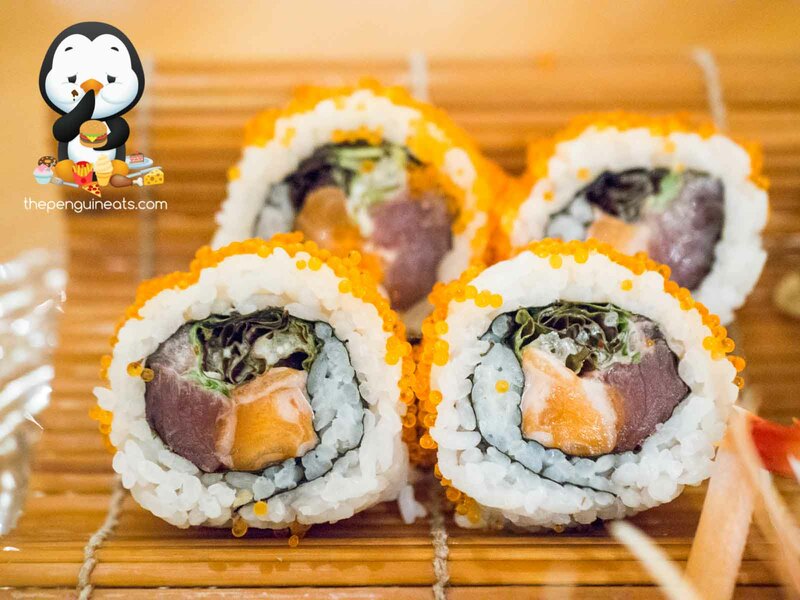 Topped with plenty of juicy fish roe and coupled with a tempura batter, this hand roll had an amazing array of textures all in one bite! 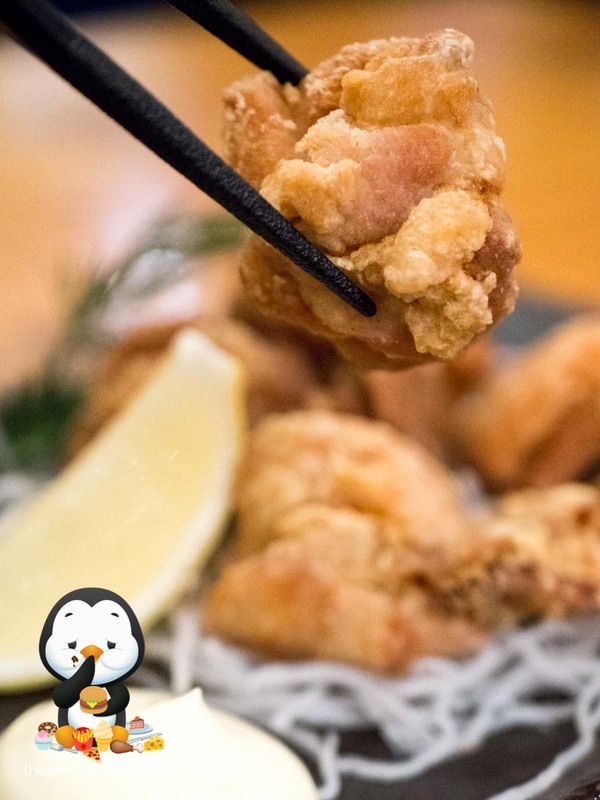 The Tori Karaage was just delightful. 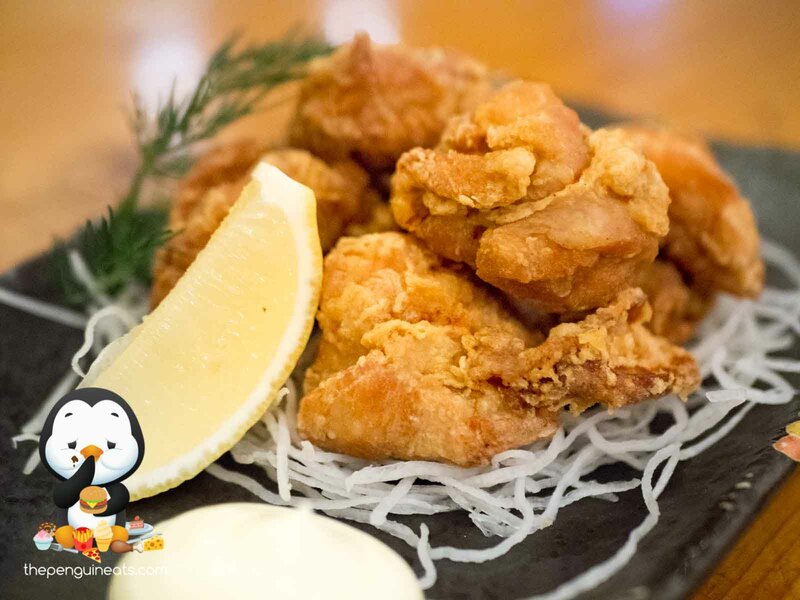 A seemingly simple dish yet so hard to execute perfectly, the pieces of fried chicken were lightly battered just so, and fried to a perfect crisp. Within, the chicken was juicy and tender, with a lovely meaty sensation that was well complemented by a dollop of kewpie mayo. The highlight of the evening was perhaps the Teriyaki Mush Steak. Despite the rather ordinary appearance, the huge mushrooms were pan-seared to perfection. 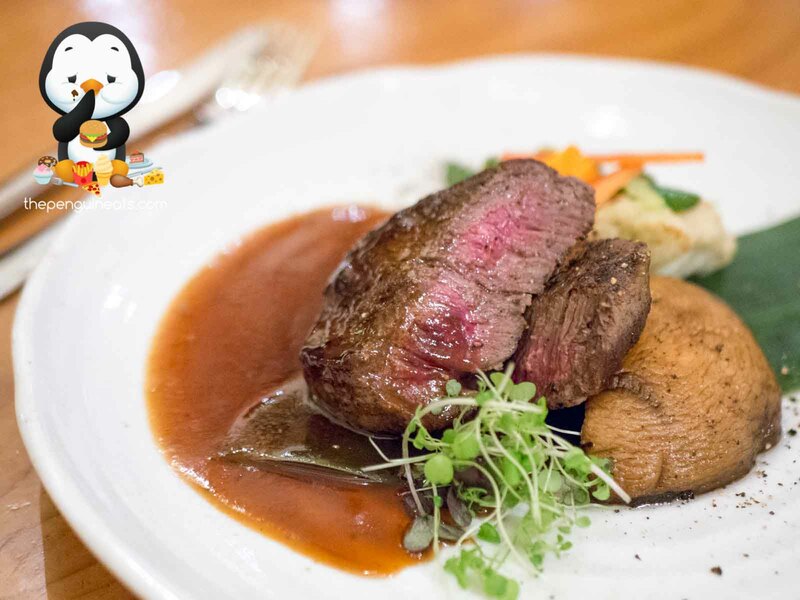 The plump, meaty texture of the msuhroom was quite literally bursting with fragrant mushroom juices, which was made even tastier thanks to the rich and bold Teriyaki sauce that added a pleasant depth in a sweet and savoury goodness. 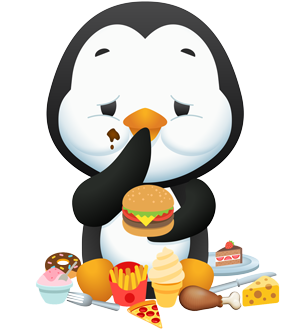 Coupled with crispy veggies served alongside, this was a dish that must not be missed. We concluded the evening with the Kuro Goma Panna Cotta. 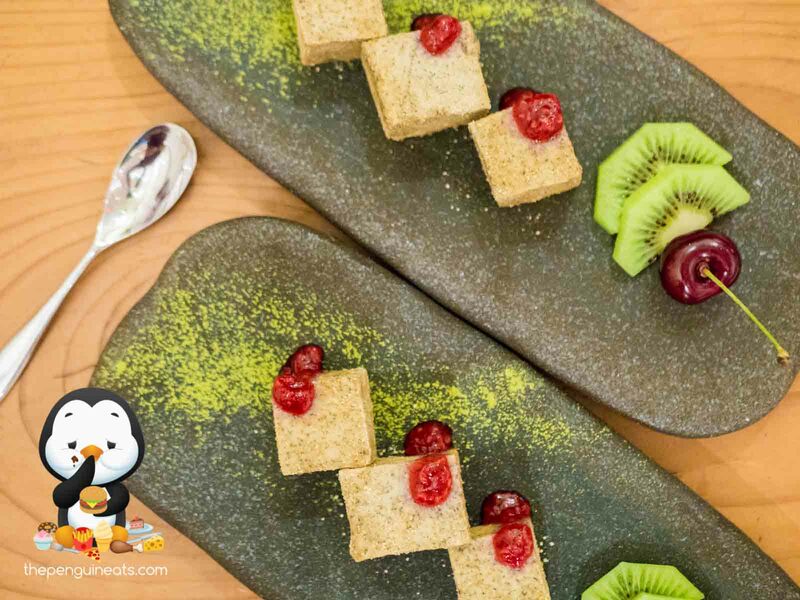 Utilising his mother’s recipe, owner Ryo created this rather fitting dessert that combines modern interpretation to traditional Japanese ingredients. 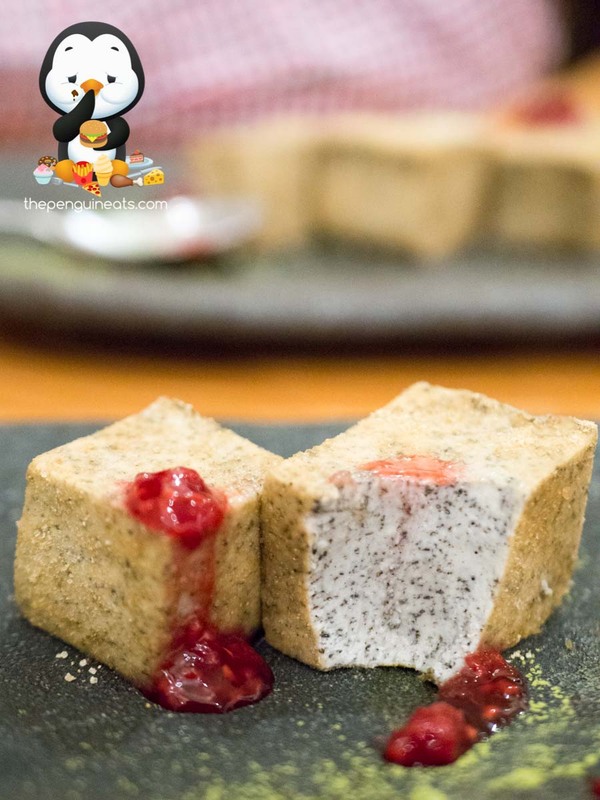 Filled with a black sesame pudding, the smooth, jiggly inner was coated with with a roasted rice flour and dusted with green tea powder. The nutty, earthy sensation was made brighter thanks to the berry jam and fresh fruits served alongside. 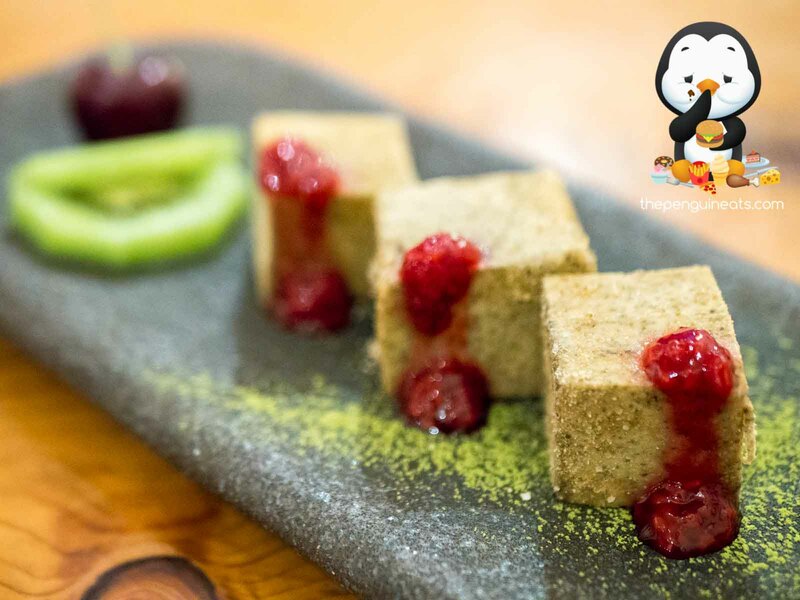 Without being overly sweet or rich, this sweet treat is the perfect ending to this brilliant Japanese feast. 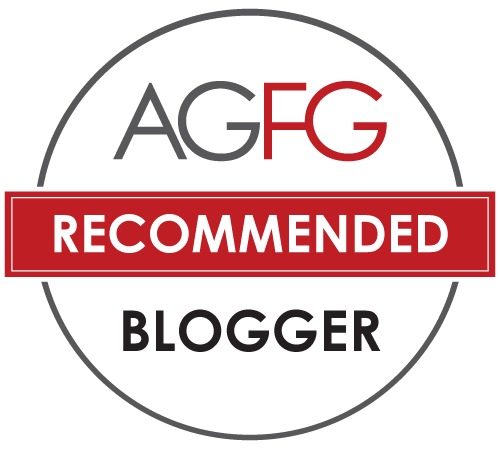 Many may never have heard of this restaurant called Fujitei, though rest assured, you will in the months to come as it truly represents a hidden gem in St Kilda. 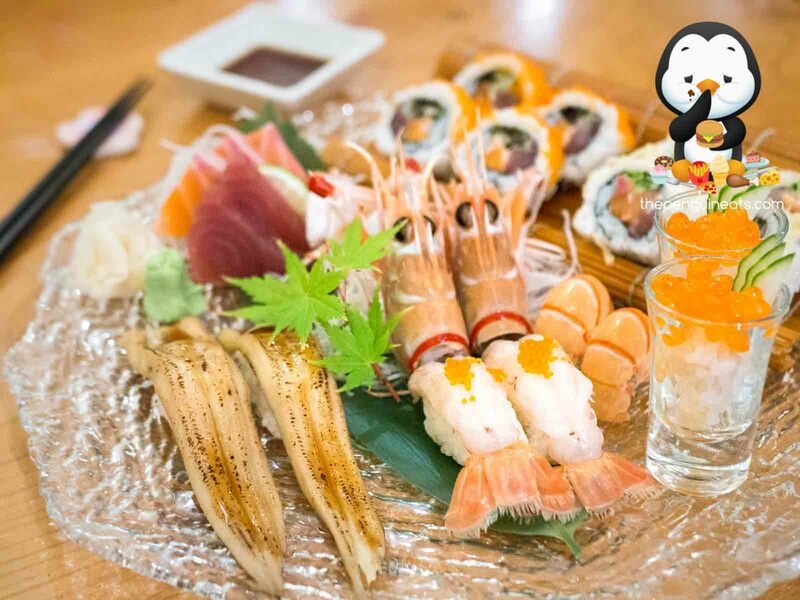 The impeccably fresh sashimi, the authentic of preparation and respect for quality ingredients, all made for one of the most traditional and unpretentious Japanese dining experiences we’ve ever come across in Melbourne. 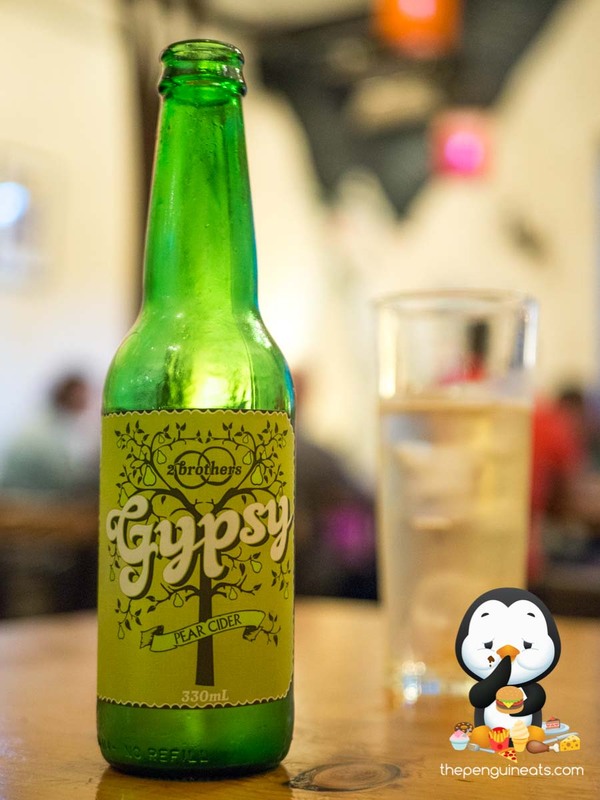 Coupled with a lovely Japanese zen garden and friendly, attentive service, this is an eatery you’d come to love! Most definitely. 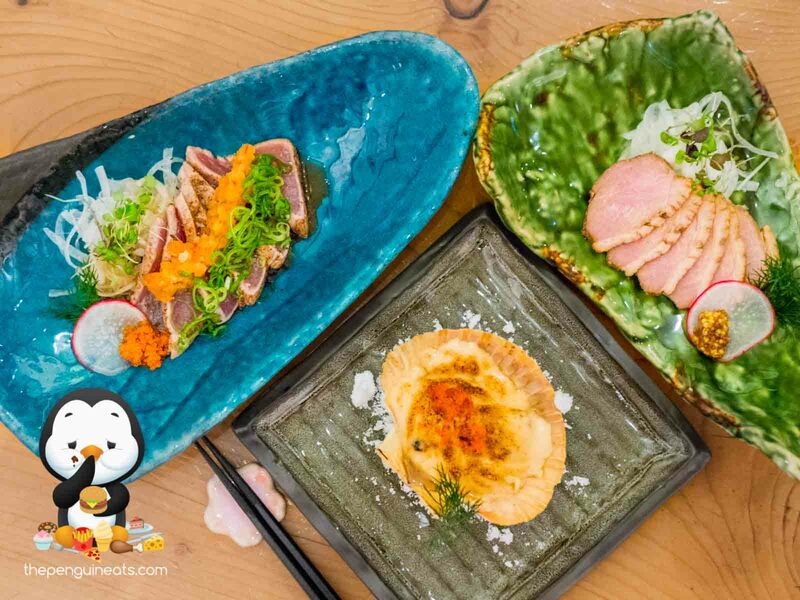 Oshokuji Dokoro Fujitei offers up one of the most premier Japanese dining experience in Melbourne, and is undoubtedly a must-try for any Japanese food lover. 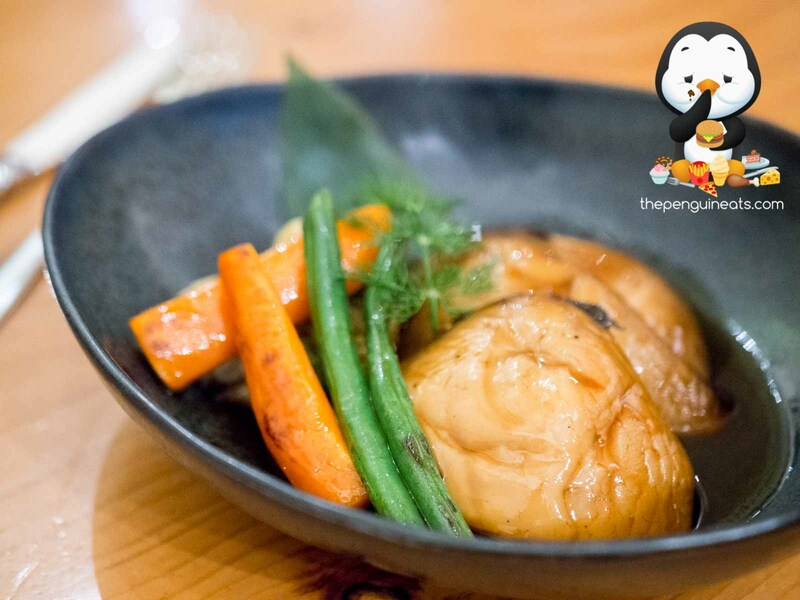 Penguineats would like to thank owner Ryo for inviting us to Oshokuji Dokoro Fujitei.